Last night I visited a space so special, it was like being at a resort in the Caribbean—and not just because of the plot of sand. La Marina is a brand-new, massive waterfront bar and restaurant in Washington Heights. The menu is still a work in progress but the space itself is just beautiful. (It’s nothing like Water Taxi Beach ever was, and about 100 times better than Beekman Beer Garden or any other on-the-river establishment will ever be.) 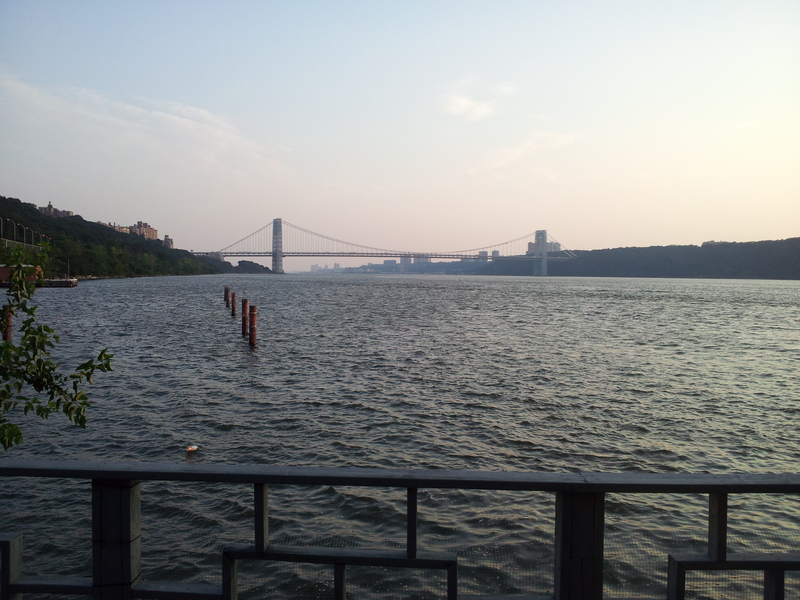 There are seriously impressive views of the GW Bridge, NJ’s Palisades Park and the Hudson. Honestly, people were jet-skiing (?) about 20 feet from my table, which was both bizarre and a little bit rad. Do yourself a favor and take the A train all the way uptown and spend an afternoon here eating mussels and drinking sparkling rosé. Or eating chicken lollipops and drinking beer. Whatever you’re in the mood for. Just go. You won’t believe your eyes. ← Hyatt wants you to stay skinny!